Open your ears and your heart, and follow the ear-splitting sound of a frozen ocean of Atmospheric Black Metal hailing from the almighty Russia. Since the year of 2005, Russian multi-instrumentalist Vaarwel (who’s also a member of the excellent Russian bands Goatpsalm and Smothered Bowels) has been crafting music of incredible power, imagination, diversity and depth, releasing his creations under the banner of Frozen Ocean. Hailing from the city of Moscow, Russia, this unstoppable metaller seems to have an endless fountain of creativity inside his blackened mind, always expressing his unique view of obscure themes such as winter, death and depression, and always avoiding any labels or preset formulas (let’s simply call his music Atmospheric Black Metal for you readers to understand the whole concept a little better). For instance, he was capable of delivering nothing less than 7 (seven!) Frozen Ocean albums in 2011, five of those being full-length ones. And now, in 2016, he has already started spreading his starless arias all over the world with a brand new EP entitled The Prowess Of Dormition. It doesn’t matter if you’re a fan of bands such as Moonsorrow, Borknagar and Sigh, or if you prefer rawer Black Metal acts like Dark Funeral and Immortal, the music found in The Prowess Of Dormition will definitely leave a (good) scar on your metallic soul due to its beauty, heaviness and complexity. Featuring an absorbing artwork by British artist/photographer Kieran Wakeman (Divine Chaos Art), who has already worked with bands such as Cadaveria, The King is Blind and Terror Universal, the EP has a lot to offer us metalheads in its 25-minute journey through gelid landscapes and dark thoughts, split in four distinct harmonious tunes. The atmospheric intro in No Blizzard promptly invites the listener to the cold and desolated realms of Frozen Ocean, with Vaarwel making sure the harmony and pace of the song generate the necessary ambience for his harsh growls. In addition, Doom Metal elements are brought forth especially by the song’s gentle keyboard notes and constant beats delivered by Vaarwel, luring us to go even deeper into his dark world. And this doom-ish vibe goes on in the very somber and melodic Once Aglow, where there’s a lot of melancholy and sorrow flowing from Vaarwel’s growling. 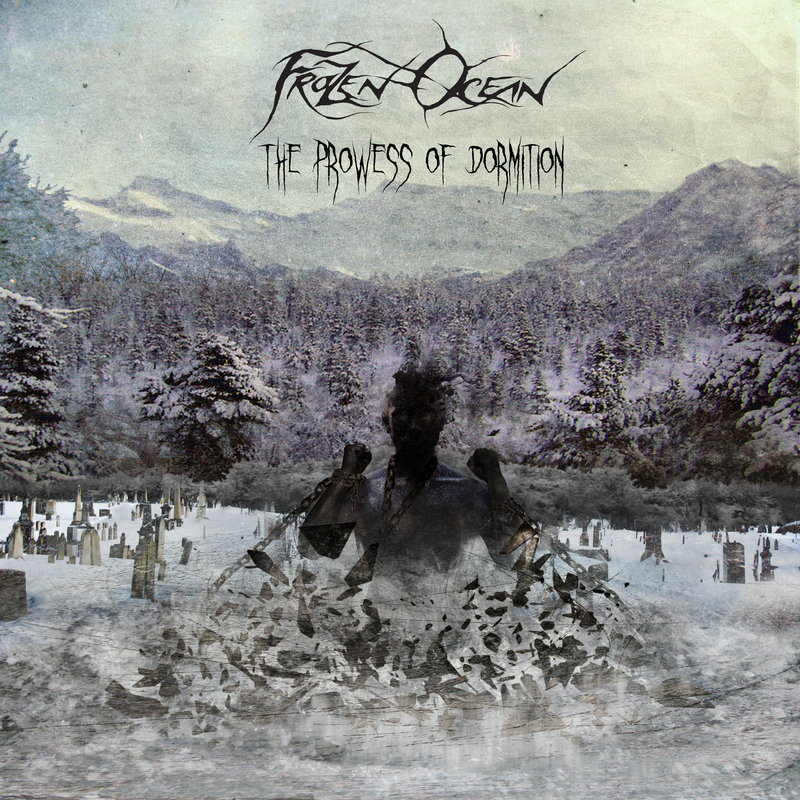 Moreover, the nice break halfway through it provides the listener some well-deserved peace of mind, before obscurity returns in this flawless fusion of Atmospheric and Symphonic Black Metal. Det Siste Snøfallet (Norwegian for “the last snowfall”) begins at full force with its relentless beats and riffs, which aim at representing the harshest snowfall in the history of mankind. 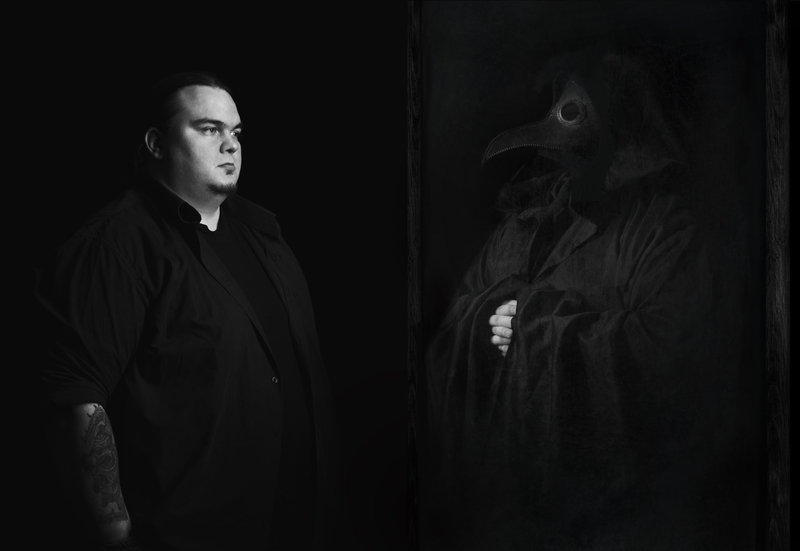 It’s a captivating instrumental tune where Vaarwel showcases all his abilities as a musician (and as a lover of dark music), working as an “extended” intro to the title-track, The Prowess Of Dormition, an amazing composition that offers the listener Frozen Ocean’s trademark Black Metal with hints of Folk and Viking Metal. Its keyboards get even more prominent and sinister, yet again providing a smooth break with endless amounts of feeling and melancholy until the music flows into a climatic ending, therefore concluding the album brilliantly. In a nutshell, although The Prowess Of Dormition has been released as “just” an EP, it’s substantially more intricate and intense than most full-length records you might find anywhere, proving how talented Vaarwel is and providing hints of what this Russian one-man army might breed next. And in order to keep updated with everything happening with Frozen Ocean, go check their Facebook, VKontakte, YouTube, SoundCloud and BandCamp, and also buy your copy of The Prowess Of Dormition at the Apocalyptic Witchcraft Recordings’ official BandCamp and Big Cartel pages or at CD Baby. Just open your ears and your heart, relax, and follow the ear-splitting sound of this frozen ocean of extreme music. Best moments of the album: The Prowess Of Dormition. This entry was posted in 2016 New Releases and tagged apocalyptic witchcraft recordings, atmospheric black metal, black metal, det siste snøfallet, divine chaos art, doom metal, folk metal, frozen ocean, kieran wakeman, moscow, no blizzard, once aglow, russia, symphonic black metal, the prowess of dormition, the prowess of dormition ep, vaarwel, viking metal by Gustavo Scuderi. Bookmark the permalink.